Is the jury still out in your mind as to whether social media matters in business? If so, a recent survey might make you change your mind. In fact, it may cause you to re-think your entire marketing outreach, especially if you market to women. The study found that 42 million women in the United States (roughly 53% of the 79 million adult women in the United States who use the Internet) participate in social media at least weekly. As they spend more time with social media, women are spending correspondingly less time with traditional media: 39% less on newspapers, 36% less time reading magazines, and 30% less time watching TV. That’s according to a recent social media survey by BlogHer, the women’s blog network, along with iVillage and Compass Partners. If you were looking solely at raw numbers, you’d conclude the most important place your brand needs to be seen is over at Facebook or MySpace, right? Well … not necessarily. It’s not just about how much time is spent in an activity, it’s what women do in that activity and how much that activity plays into their purchasing habits. This slide (slide 10) from the survey shows the difference between reach and influence. 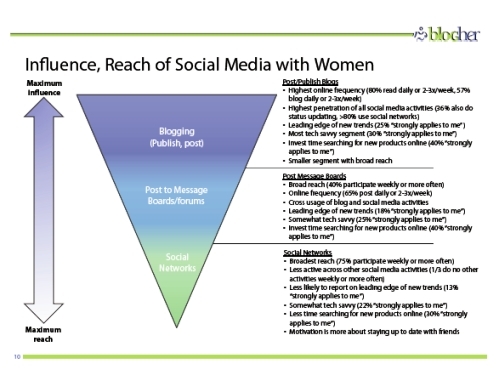 The way I interpret this slide is that you would get the maximum reach in sheer numbers from social networks like Facebook (narrow point of the inverted pyramid), but you would achieve the widest influence from blogs (widest part of the inverted pyramid). 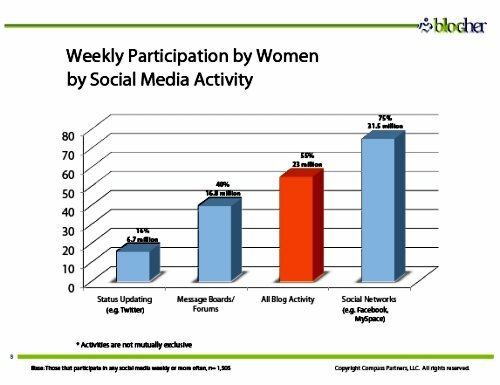 The women who post to blogs are the most actively engaged. They spend the most time online. Over 80% also participate in social networks like Facebook, and over one third of bloggers also participate in Twitter. But more to the point, those who blog are more likely to be tech savvy, on the leading edge of trends, and invest time searching for new products online. Those who participate in social networking sites like Facebook are motivated to spend time there more as a matter of staying in touch with family and friends. The slide below (slide 20) tells the tale of the difference in type of advice and information sought, and how the different types of social media come into play. 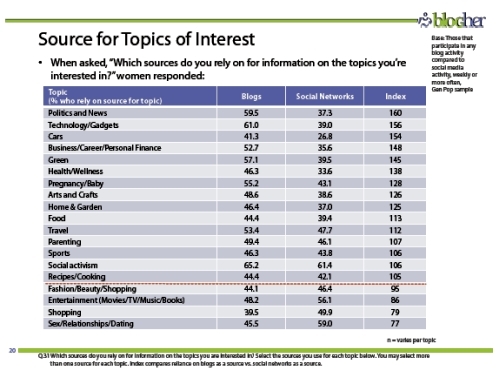 Women are more likely to go to social networks for beauty, entertainment and dating advice. But for the majority of other categories they look to blogs. Depending on the nature of your business, it might be worth it to focus on Facebook or MySpace — if, for instance, you are in the entertainment business. But for most things, such as if you are in a B2B business or selling technology, blogs could give you more influence. Read the entire survey, which you can download here (PDF), along with the press release. It was released at the end of April 2009, and surveyed 2,821 women in the general U.S. population, 1,008 women from the BlogHer network, and 788 women in the iVillage network. This is definitely one survey worth checking out, as the insights dig deep beneath the surface. Anita, It is good to see research that providing some depth instead of general statements which helps online businesses with their marketing decisions. One question I have is do you think the research results were skewed slightly because of the numbers from the iVillage and BlogHer networks? Hi Susan, I think I can answer your questions. We did not combine the three populations, we compared them. In particular, the slides Anita references and discusses referenced the data from the general population data group, so not the BlogHer Network or iVillage community members. if you click through to the PDF anita includes you can see more about the methodology on the first couple of slides. Thanks for your answer and I should have read the methodology before posting. Helpful stats Anita. Atleast we had the idea where to focus, what activities should involve for each different industries. 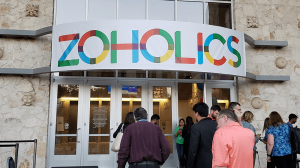 I recently listened to a fascinating podcast interview with one of the founder of BlogHer. How many men are using social media? Could it be that women need more than 140 characters in order to get their point across? I agree that this point should be taken in consideration. Don’t rely only on this new microblogging trend. Interesting statistics. Thanks for putting them together. Never before in the history of mankind has it been easier to reach out to people all over the world. Online communitieslike MySpace, make meeting new friends with similar interests incredibly easy. MySpace is a great place to share tips, ideas and stories about the things you find most interesting. If you have a question about your hobby, you can easily find the answer through your network of members with similar interests. Thanks, Elisa, for answering Susan’s question about the survey sampling. I think it is very valuable to have this data, and I really liked the detail it went into. You and Lisa and Jory did a great job with this, along with your partners, Compass and iVillage. Blogs and Facebook and Twitter and Forums are such different vehicles. Too often they are lumped together, giving a confused picture of the landscape, which doesn’t help marketers make decisions. Great analysis! This is further evidence that in order to be effective for business promotion, a social media campaign must be targeted, multifaceted, and deliberate. Hi Martin, 140 characters is definitely not enough by itself. Certainly not for a publisher, like me. I use Twitter regularly, but I use it to complement my blog writings — and amplify the reach of my blog posts. Plus, I am able to share others’ blog posts and interesting news articles — things that I would not necessarily take the time to write a blog post about, but which I think others would find interesting. But if I did not have articles and blog posts to share, I’m not sure what I would say on Twitter. I would say a lot of boring minutiae, I am afraid. Interesting stats, they really don’t surprise me much. I think women have a lot more patience when it comes to investing time in social media, sorry men. 🙁 I know that I encounter many more women online than men and my husband only lasted less than a week before he became disinterested in his own blog. Wow. This survey is powerful. I have to agree with Amanda, though, I’m not surprised. What matters most to me as someone who is constantly looking at and using new tools, but also trying to incorporate “old” tools is this: We are heading back to the village, to the small town, in our company outreach and service. To a place like that TV program, Cheers, where everybody knows your name. That comes with good and bad. Mostly good, I think. As merchants and small companies, we can compete with the Big Box Retailers if we’re smart and nimble online. 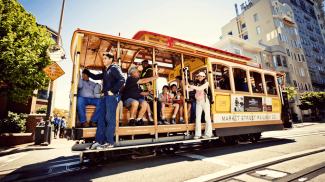 We can re-create community and loyalty that has been lost over the past few decades by connecting and engaging with our customers in new ways. 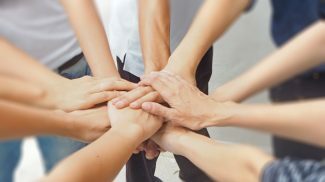 I have been starting to blog about the intersection of sales and social media and hearing lots of cool stories about restaurants and cleaning companies and manufacturers running their tiny Facebook Pages or Groups and getting 40 people to a wine tasting or 100 people to become a Fan… I’m excited by this survey and the new opportunities it brings for keeping the customer relationship at the center of what we do. Thanks for your insightful comment. I will bear that in mind when I have my social media course this autumn. My guess is that a substantial part of the participants will be women. Interesting reading. It demonstrates pretty clearly that blogs are not passe (so say some twitter peeps). I think that the social media imperative can be quite overwhelming to the average small business owner; what, when, who, why and how to do as much as possible in as little time as possible! I’m happy to hear and see that perhaps balancing these media will be more effective than over-working one or two social media tactics. This is interesting information and supports the data we receive from our own website surveys. 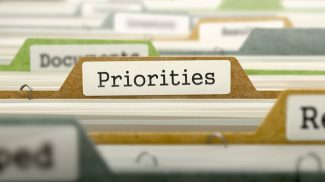 We survey customers monthly and have recently begun asking how they spend their time online. The majority report that the most time is spent on Facebook. As a small business owner we are frequently contacted by mom bloggers requesting to review our product. We have found this to be an excellent way to build our online presence. The mom bloggers are passionate about providing good information, it’s like having a Consumer Reports magazine of just moms. Excellent Analysis, these statistics will help us to focus on the best franchise industries for those individuals to prosper. This is really encouraging to know. I think maybe one reason women are so much more interested in blogging and are successful at it is because so many began doing it for their own personal enjoyment. The fact that these blogs became successful financial ventures was a happy by-product. We like to share and chat and be part of a bigger community and I think that’s what drives so many women to blog. It’s the honesty of our voices that comes through and others respond to that. I love reading blogs and will continue to do so as long as the content stays authentic. Thanks for making this so understandable, Anita. Great info. How lucky for me that I’m a serious blogger and spend more time with it than any other social media. I will be forwarding this blog post to my automotive dealer principal clients. Business can no longer ignore the power of blogs (and social networking) as a new way of doing business with women. We may need to drag some clients into the 21st century and keep pounding the message that the old sales and marketing strategies are not attracting one of the most powerful markets – women. However, I owe it to my clients to keep them informed. As a consultant to smaller retailers, it’s interesting to note first how far down on the list of topics shopping is, and second, that social media is somewhat more important than blogs in gathering shopping information. That, to me, reinforces the thought that the most effective marketing that a smaller retailer can do be directed at existing customers, with the intent of drawing her social network into the store and converting them into customers. How can I subscribe to Small Business Trends? Please let me know. Media marketing is so important in this society right now. As your statistics show, social networking pages are big for not only personal use but also business. Your studies show that women are using media networks but that is the same across the board for men and women alike. Check out some of our media work at stellarmediaworks.com and check out our videos on youtube.com to see more. to we see a great opportunity for online active marketers to get involved w/ this group, which is leaving facebook and joing new social networks like activagers.com who focus directly on the specific demographic w/ purchase power. I have a house in Tuscony,bella Italia and my experience ae that families,man & woman are overthere more equal.at least in terms of no-gender-war. I thought that men are more sociable. Probably on the internet men are more of a social media fanatic but in the sense of real world out there, women are the king. Great post Anita! Blogs do an excellent job of leveraging technology when setup and managed correctly. We have designed and now manage dozens of WordPress blogs. Blogs, as well as all online marketing programs, do require human resources to run the operations and in-house management (copywriting, images, programming, etc.). We recommend creating your budget accordingly to truly succeed online. Again, thanks for great content. Thanks for the post Anita, the stats are encouraging and like others, I’m not so surprised. Social Media is huge right now and I’m glad to see women taking advantage of the opportunities it presents. http://www.mediarevo.com/services/social . I work for a small advertising agency that produces huge results due to SEM/SEO and social media. In my opinion, social networking appeals to women because it allows us to reach a huge audience while still having a personal connection. Any official statistics on Canadian Women using the Internet? I have been informed that the majority of popular women blogs are written by Canadian Women. great article! encouraging for me, especially when i’m marketing my self-published e-book for females. As a female in the IT industry I love to hear things like this, we use social media to interact with other members of the local IT community but I would love to hear about using social media in the IT space to attract clients, any suggestions? Thanks. Well, that’s interesting. Does this create a new war between the sexes? Wow great information. Thanks for sharing. Marketing to Women to Grow Your Business » Blog Archive » Your Customers Are Online — Are you? Josh Chandler - What Stage is the Viral Web at right now? Blogging – Does Your Business Still Need It To Succeed? It Would Appear That The Ladies Have Crashed The Gate And Are Taking Over Social Media!